Yoga nidra is an ancient but little-known yogic practice that’s becoming increasingly popular as both a form of meditation and a mind-body therapy. It is a systematic form of guided relaxation that typically is done for 35 to 40 minutes at a time. It was popularised by the Satyananda School of Yoga but is now widely found in other yoga schools. If you have enjoyed ‘Savasana’ or final relaxation in corpse pose in your yoga class, read on… However, its also important to stress that you don’t have to do Yoga or meditate to experience the benefits of Yoga Nidra. From personal experience, Yoga Nidra helps promote a deep state of relaxation and healing. This is a powerful technique in which you learn to relax consciously and balance the doshas. It can bring immediate physical benefits, such as reduced stress and better sleep, but also can help heal the mind and emotions. Regular practice can lead to a lasting sense of joy and well-being. Sometimes I have been too physically tired to do Yoga, even restorative Yoga. Yoga Nidra can be especially helpful at these times, though is also beneficial for when we are full of beans! During the practice of yoga nidra, one appears to be asleep, but the consciousness is functioning at a deeper level of awareness. In a typical yoga nidra session, a teacher guides practitioners through several stages. Unlike other forms of meditation, in which you focus on a mantra or on your breath, yoga nidra asks you simply to let go. You start by developing an intention for your life and for the practice. The Sanskrit term for this is ‘Sankalpa’ – something you want more than anything else in life. I like to think of the practice as sending this powerful message to each of the trillions of cells in your body, each of which is conscious. Then you learn to focus your awareness on your breath, bodily sensations, emotions, and thoughts. Throughout, you are encouraged to connect with the underlying sense of peace that is always present and develop a “witness consciousness”. This means learning to watch the mind and its ups and downs without getting involved with them. 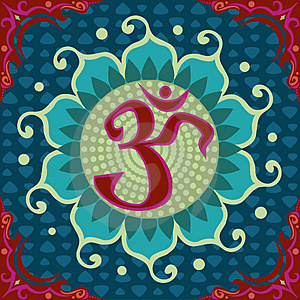 “In yoga nidra, we restore our body, senses, and mind to their natural function and awaken a seventh sense that allows us to feel no separation, that only sees wholeness, tranquility, and well-being,” says Richard Miller, a US yoga teacher and clinical psychologist who is at the forefront of the movement to teach yoga nidra and to bring it to a wider audience (see book recommendations below). 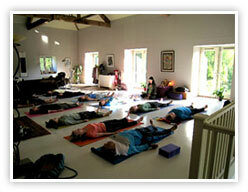 His pioneering work has encouraged scientific research on Yoga Nidra. For example, it is being used to help soldiers recovering from Post Traumatic Stress Disorder. Even though Yoga nidra allows us to reach the most profound level of relaxation possible, it’s a very simple practice. It is mainly taught lying down in a chair and may appeal to people who might feel intimidated by yoga postures or traditional seated meditation. All you need is a yoga mat or carpet, blanket and an eye bag or something to cover the eyes. A pillow under the head can also be helpful. Richard Miller’s book ‘Yoga Nidra – the meditative heart of yoga’ (includes a practice CD) available on Amazon but is unfortunately out of print now so very expensive. This CD also comes recommended and is a more reasonable £15. There are lots of others to choose from on Amazon- its a question of finding someone’s voice that you enjoy listening to really!